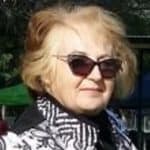 Are there Different Types of Pomeranian or Even Different Breeds of Pomeranian? How many types of Pomeranians are there? Are there 3 types of Pomeranians like the Poodle? Is there a Pomeranian breeds list, many Pomeranian dog types or Pomeranian varieties? Authoritatively there are no different Pomeranian types or different Pomeranian breeds types. There is just one Pomeranian. 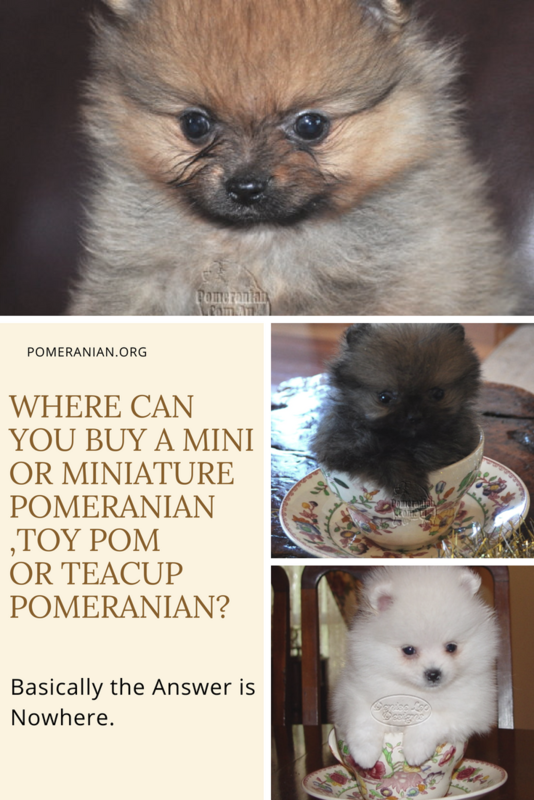 Are there Teacup Pomeranian , Toy Pomeranians, Miniature Pomeranian, Pocket Poms, Mini Pom, Teddy bear, Throwback Pomeranian, Standard Pomeranians or even a Teacup Teddy Bear Pomeranian ? Simply no, nearly all of these terms are not utilized by registered show Pomeranian breeders. Frequently, prospective Pomeranian owners wanting to obtain a high quality double coated Pomeranian , short snout Pomeranian and correctly sized Pom dog ask for a Teacup Pomeranian, Toy Pomeranian or Miniature Pomeranian. Officially these varieties of Pomeranian do not exist. The Pomeranian is classed as a toy dog because he competes at dog shows, in all countries other than F.C.I. shows in the toy group against other toy dog breeds. Purchasing your puppy from a registered show breeder will ensure that your Pomeranian will mature correct to the breed standard. What is the Pomeranian breed standard you ask ? The breed standard is the “blueprint” of the breed. Dedicated show breeders carefully select for the traits and characteristics described in the breed standard. By participating at dog shows, show Pomeranian breeders are able to evaluate and compare breeding programs. 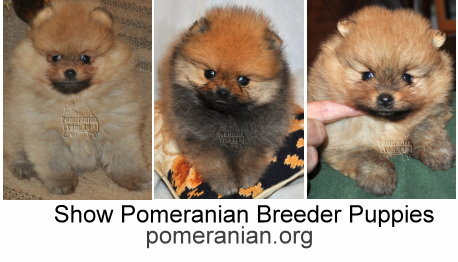 Pictured above Pomeranian puppies bred by a registered show Pomeranian breeder. These puppies can be expected to mature to be typical examples of the Pomeranian breed. As pictured below in the 3 photos. Short nose Pomeranian dogs bred by a Show Pomeranian Breeder. Without study of the breed standard, meticulous selection for breed quality and regular evaluation of breeding programs by participating at dog shows the very essence of the pomeranian is quickly lost. Breeders who are dedicated to the breed do extensive health testing and prove their Pomeranians in the show ring prior to breeding. 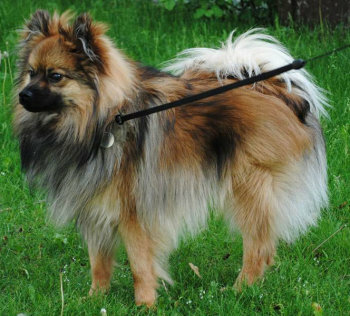 These type of breeders are often referred to as conservation breeders, as they are working to preserve the Pomeranian dog. Different types of Pomeranians with pictures. 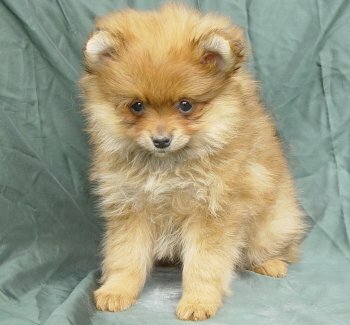 Pomeranians bred by people who do not show their Pomeranians may look adorable and very cute as young puppies. New owners are often captivated with the appealing ball of fluff, but are purchasing a totally different dog to the “show” type Pomeranian.These puppies frequently mature considerably larger than the Pomeranian breed standard and are often a long snout Pomeranian or the term I prefer to use, long nose Pomeranian. These dogs often lack the correct double coat and could be described as a flat coat Pomeranian ( if different Pomeranian fur types existed). Many pet Pomeranian purchasers are dismayed when their Pomeranian puppy does not grow up to look similar to Pomeranian Boo. 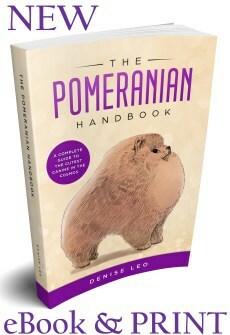 It should be explained, I don’t see show flaws as detrimental in pet Pomeranians. I adore each and every Pomeranian which exists. 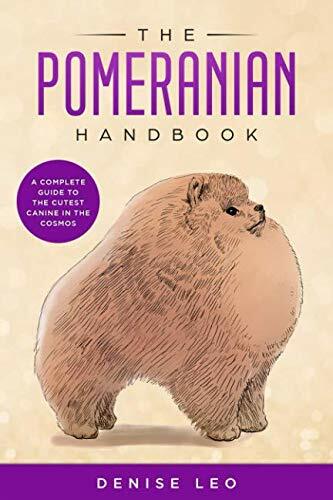 All dogs are lovely, but if you intend to purchase a Pomeranian safeguard yourself by spending a little extra time selecting your Pomeranian and purchase from a show Pomeranian breeder. Is there a throwback Pomeranian? Simply No! There is no dog breed called a throwback Pomeranian and there is not an official term “throwback Pomeranian”. Perhaps this term could be used to describe a pet shop/puppy farm or backyard breeder type Pomeranian. This foxy face Pomeranian type often will resemble a German Spitz more than a Pomeranian. Pictured above the type of Pomeranian puppy sold via pet shops, newspaper advertisements, back yard breeders etc. This type of Pomeranian puppy can be expected to mature into a large Pomeranian breed dog of the quality pictured above right. Pomeranian coat type is also often not correct While these little dogs are adorable and make great family pets, the usual reason they grow larger than breed standard requirements and don’t have the glamor looks of the show Pomeranian is because of poor breeding practises. A throwback Pomeranian breeder is often a puppy farm or what is referred to as a backyard breeder. If this is the type you favour consider researching the German Spitz. Puppies of this breed seem to be easier to locate and sell for much less than Pomeranian puppies. As a Pomeranian lover I consider ALL Pomeranians to be BEAUTIFUL and special little individuals. The purpose of this article is to help this looking to buy a Pom puppy purchase exactly the type of dog they desire. The Author and a Pomeranian Show Dog.